What is your favorite Johnny Depp Movie Character? We have a costume for that. This Dark Shadows, Barnabas Collins Costume is just one Idea we have. There are so many absolutely great Johnny Depp Characters and we can hook you up with any of them. From head to toe or just the pieces you need. This Johnny Depp: Public Enemy Number One, John Dillinger Costume is just one great costume we keep in stock. Who is your favorite Johnny Depp Movie Character. We can help you put together the most unforgettable outfit, from head to toe or just the hard to find pieces you need. We have all of your favorite Johnny Depp Movie Characters Costumes & Accessories in Stock, all rear round. 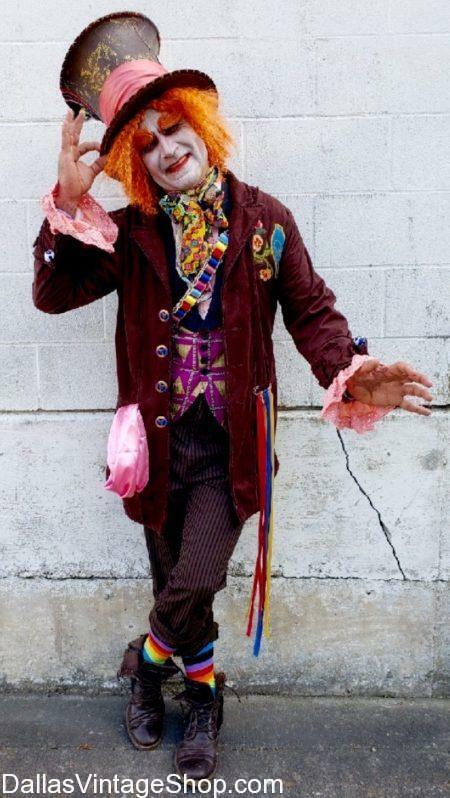 This Johnny Depp, Mad Hatter Quality Costume from the New Alice in Wonderland Movie is just a sample of one of our elaborate Johnny Depp, Best Costumes Ever. Get complete Johnny Depp outfits or just the costume pieces or accessories you need. Get Supreme Quality or Economy Adult & Kids Johnny Depp Costumes. We have great ideas and vintage clothing to help you create your own Johnny Depp Pirate Costume. What is your favorite Johnny Depp Costume? We have vintage and costume pieces for any Johnny Depp Costume imaginable. Get entire Costumes or just the pieces you need. We have adult and kids costume ideas. Get Quality or economy Johnny Depp costumes. We have great Johnny Depp Pirate Sashes, Pirate Hats with Wigs Included or Quality Separate Pieces, Pirate shirts for adults & kids, Pirate vests and more. You are in Johnny Depp category.